More soldiers of India's defence forces have been killed by themselves than by an enemy. A total of 437 armed force personnel have committed suicide in the last four years against 237 killed during combat operations which include cross border firing and even aircraft crash. 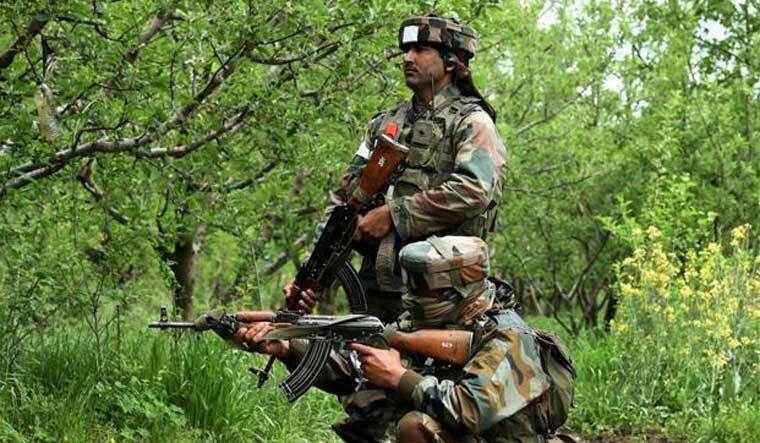 "Prolonged deployment in counter-terrorism operations in Jammu and Kashmir and northeast creates a negative impact on physical endurance and mental health of a soldier,"an officer told THE WEEK while adding that denial of leaves, poor basic amenities and low salaries are also considered to be some factors leading to depression. Officials also believe that problems of living away from family, raising children and educating them add to a soldier’s depression.
" Issues like marital discord or property dispute back home of a solider keep troubling him. With mobile phones, he is constantly in touch with his family. It eventually causes mental stress, which drives him to take extreme step," official added. "The broad measures taken include upgradation of security infrastructure and intelligence capabilities, refinement of operational drill and response mechanism, equipping the forces with state-of-art weapon, equipment and surveillance devices, medical support and quick casualties evacuation mechanism," Bhamre informed Rajya Sabha.